Setup price is discounted for certified OC, GAF, CertainTeed contractors. We have been using RooferPro Estimation Software for over eight years. 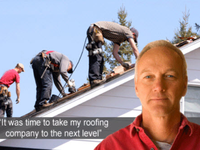 RooferPro lets us make more appointments each week, keep track of our customers and close more sales. Our salesmen like it because it is easy to use, and they save time by producing great bids in minutes after measuring a roof. The customer can see pictures the estimator just took of problem areas and they can sign the agreement on an iPad. We particularly like the RoofMeasure feature so we can now do our own satellite reports. RoofMeasure lets us measure it in our office in minutes the same day, saving time when we walk their roof to confirm their measure. (We always hand measure their roof when we do make the trip to confirm the report and close the sale.) We are glad to say our RoofMeasure estimates are spot on, and best of all, there is no extra cost. 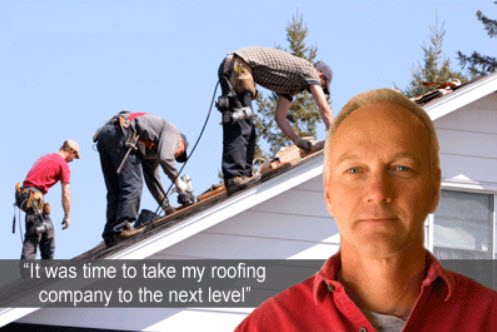 Cons: RooferPro is a cloud-based system, so all info is shared instantly automatically. Some competing software systems require you to install on each laptop. You use their software offline, but they require a licensure fee on each individual device, and the information has to be uploaded to share, so that is a trade-off. RooferPro charges one flat rate for all our users and users can access our account from any device on-line: laptops, iPads, and even smart phones. We often do the estimate inside the customer's home in a few minutes. When we are in rural areas, many homeowners have a Wi-Fi router they will allow us to access. If they do not have a router, we use the hotspot feature on our cell phone. In most areas we can get decent cellular signal strength to function quickly. Since the vast majority of our customers are in cities, this is an infrequent requirement. In rare cases, we get our virtual paperwork in order, print it out and do things "old school" with paper and pen!